A photo of a little boy circulated around Facebook in July last year that garnered quite a lot of attention online. 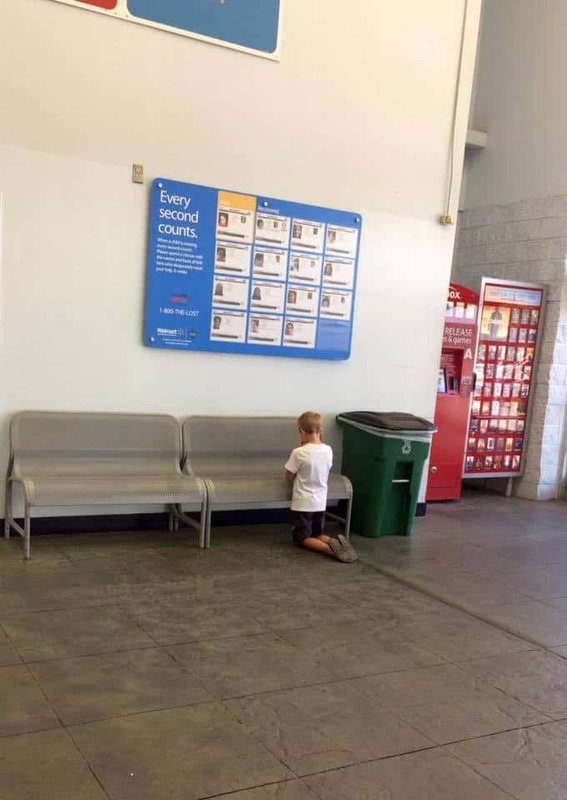 The image which depicts a small boy inside a Walmart store has been shared over 100,000 times. 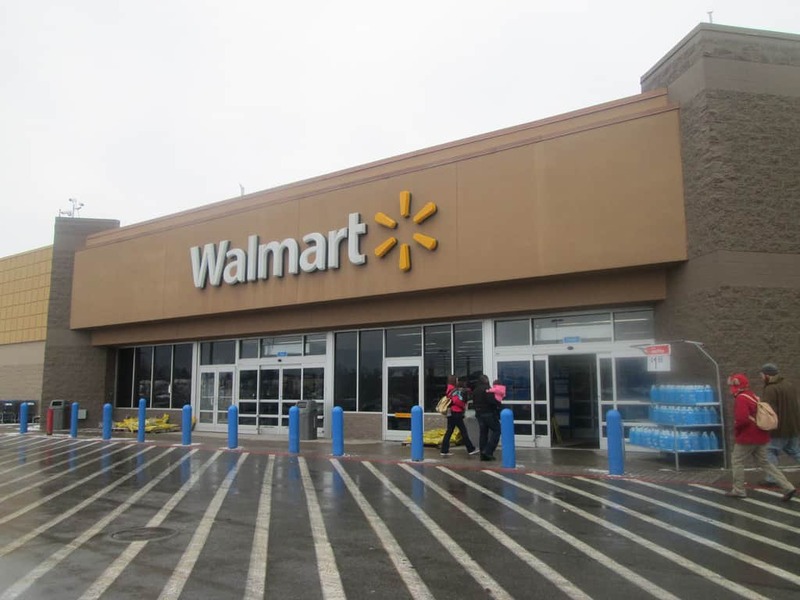 The story goes like this; during a shopping trip to Walmart, a woman noticed that her son had wandered off at some point during their outing. Naturally, the boy’s mother retraced her steps to try and find him. When she spotted him a few minutes later, she was cross and wanted to discipline him for disappearing… Until she noticed what he had been doing. The mother found her son kneeling at one of the benches towards the front of the store. At first, she didn’t quite know what he was doing. But after closer inspection she realised. 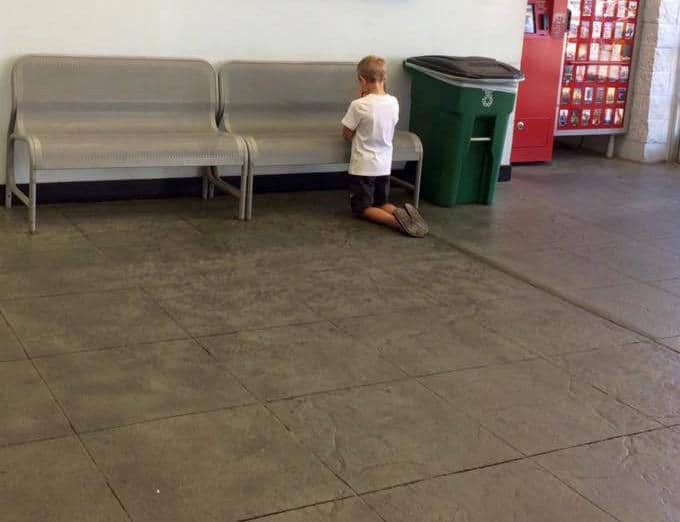 He was praying, his mom didn’t know why, but when she moved closer and looked up above him, it all became clear. The poster above him read “Every second counts”. This simple yet powerful image went viral thanks to this young boy’s empathy and compassion to others. In fact, there were many readers who are missing loved ones who felt this image resonated with them and gave them hope for the future. 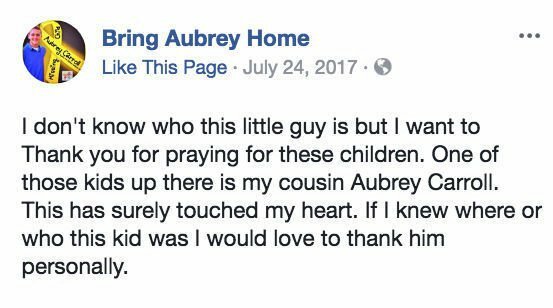 A Facebook page called Bring Aubrey Home shared the photograph on their page. They recognised one of the photos hanging on the wall as Aubrey Jayce Carroll, a teenage boy from George who went missing in 2016. Aubrey was this person’s cousin and they set up the page in the hopes of finding him. This definitely touched the heartstrings of all those who are looking for a loved one who’s missing. 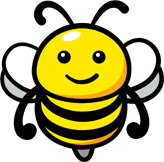 According to the National Center for Missing and Exploited Children, roughly 800,000 children are reported missing each year in the United States.